This book is solely based on the reunion of four friends from two decades back. Unfortunately, it wasn’t a time to rejoice since they all were convicted for the murder of their fifth friend. Further the book is built on the revelation of who was the real murderer and what was the reason behind that well planned clueless crime. Rajat, Sadaaf, Amol, Shanaya and Meenakshi – The five from diversed fields at BTU, Bangalore, became friends out of no choice. When Rajat was appointed as Union President at BTU, the group of friends didn’t realise that the dark phase of their college is just a push away. In no time, their friendship met an end. And no one would have ever dreamt that they all would meet again – with uproaring rivalry in each of them. 4. Amol, a farmer / also a scientist in the field of farming. Their troublesome personal and professional lives eventually linked to the death of Shanaya. They had nothing in common, except the will which sanaya had written for them before her untimely death. When all the four were convicted, they were left with no option but to unveil the mystery behind her death. They were forced to be friends again, to unfold the secret behind the Lehockzy deal of Indian army which costed Shanaya’s death. 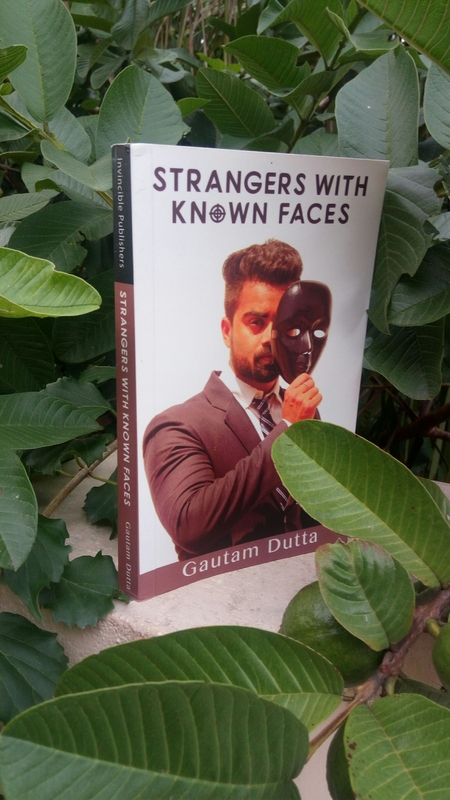 Grab the book to know more about the Lehockzy deal and the answers for who was the real murderer and why was the group of friends framed for it. The book is a rollercoaster ride of emotions, friendship, death, love, affair, fling, patriotism, quest for truth etc. This storyline is well scripted and flawless and its plot makes it an immediate page turner. Though the book has many characters, every characters are portrayed with utmost detail which makes it an easy read, leaving no doubts. The narration is enticing and it hooks the readers with the book till the end. Also it picturises the story like a movie. I enjoyed the book and the twist and turns are another factor which makes it a gripping read. But I felt a bit detached at the last few pages as they were mostly of action scenes and the book’s pace was reduced after the revelation of the mystery. I loved the explanation for “Strangers with known faces” which made me question my own friendship. The book also has editing and typo errors which is negligible with the fast paced engrossing story. Cover is the first impression before choosing a book. Here the cover page apts well with the plot but it could have been better to allure the readers. The title gives a deep insight on the story and the blurb is inquisitive enough to make anyone grab it.